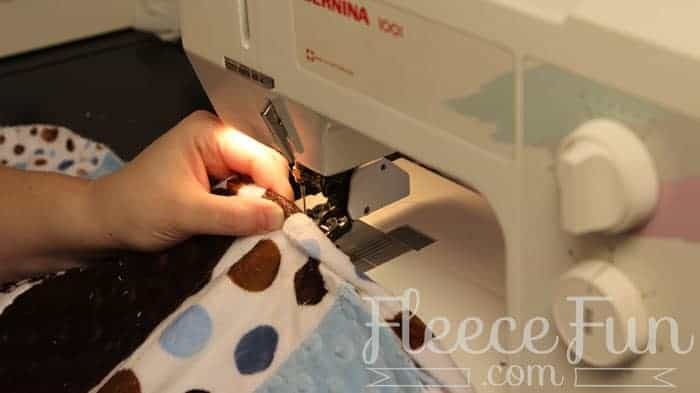 Sewing Project: You can learn how to sew a cozy blanket with this Quilt As You Go Stitch n Flip Strip Quilt Tutorial that walks you through step by step. 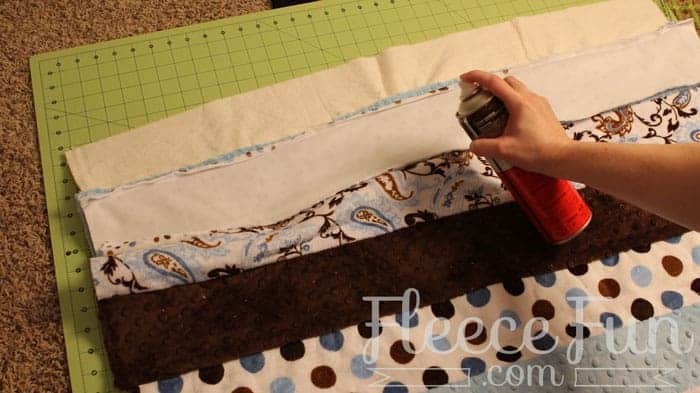 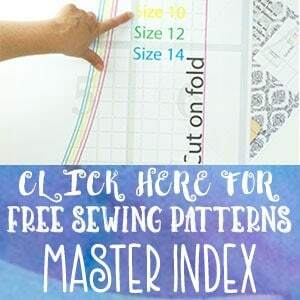 Lots of Pictures and a video tutorial make this easy quilting method perfect for a novice quilter. 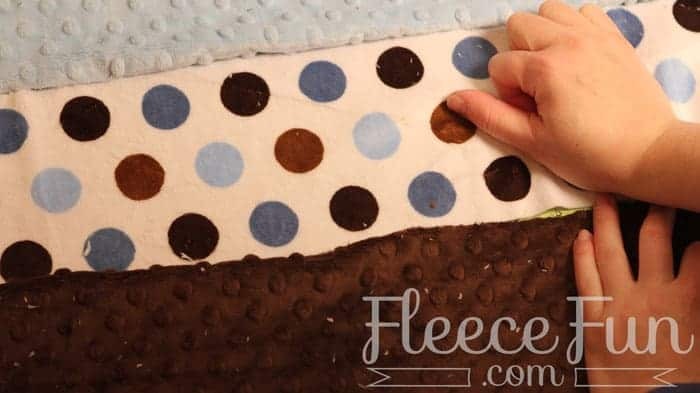 You can make a cozy blanket with this Quilt As You Go Stitch n Flip Strip Quilt Tutorial. 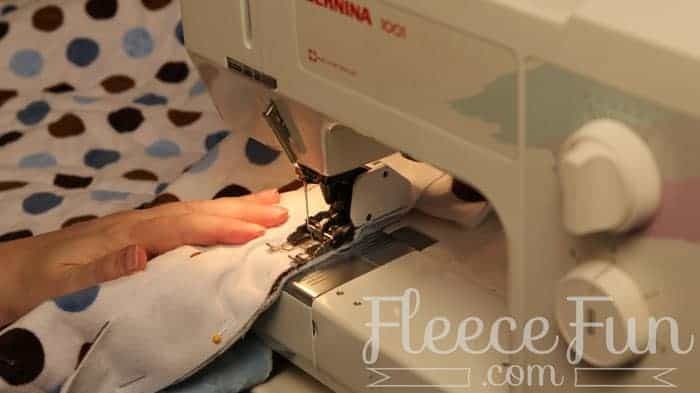 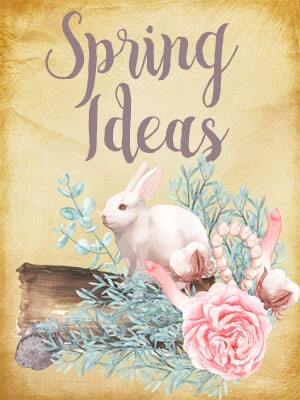 This step by step tutorial is perfect for beginners. 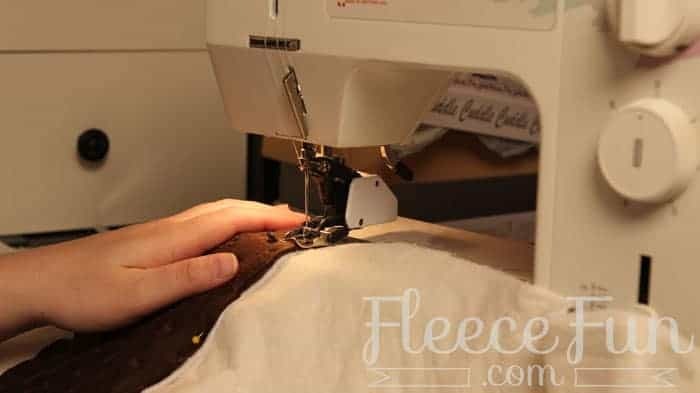 Be sure to watch the video to fully understand the process! 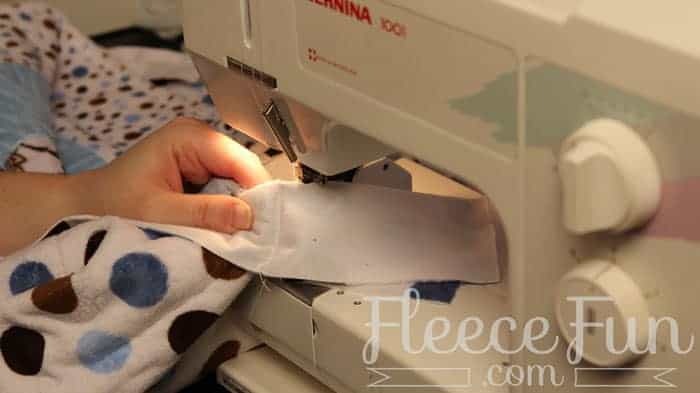 Tip: you can skip the batting to make a lighter blanket – but for a beginner it’s easier to sew the quilt with the batting as the stretch cuddle can shift. 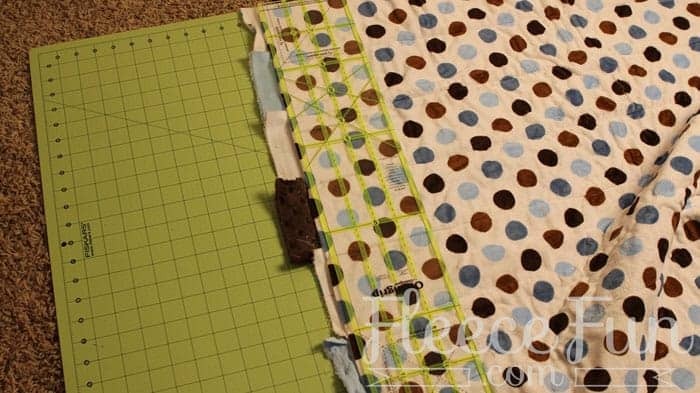 Adhere the strip quilt batting to the backing. 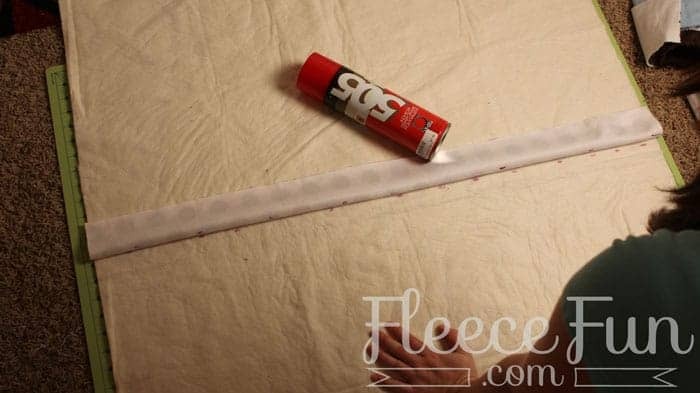 Using a large space on the floor either, pin or tape the edges of the batting down lighting stretching it to make it taught. 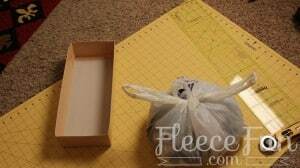 Place paper underneath the edges to protect your floor from the temporary adhesive spray. 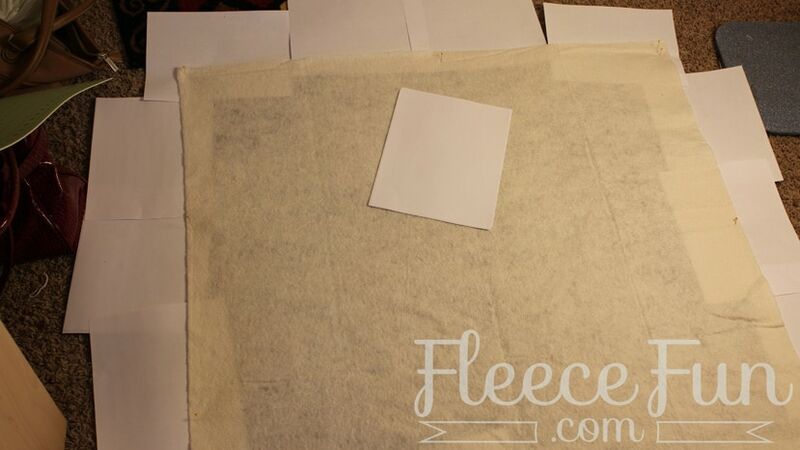 Center the fabric on the batting with wrong side facing down. 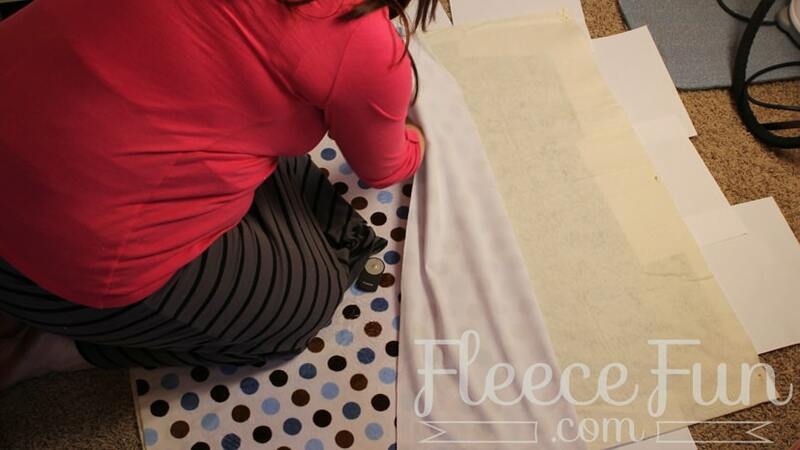 Spray fabric on the wrong side and slowly begin to adhere fabric to batting working out wrinkles as you go. 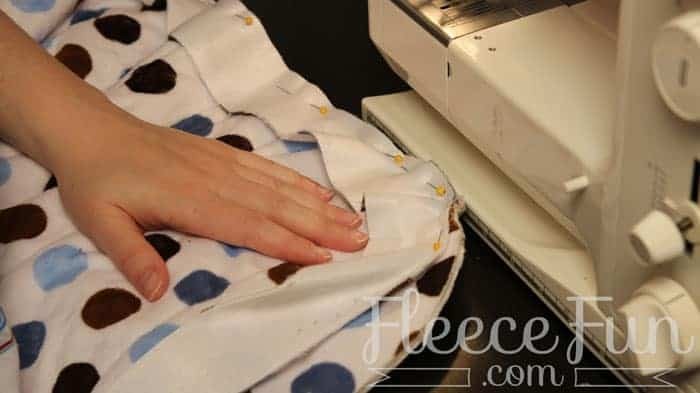 If you mess up, quickly but gently lift the fabric and try again. Once fabric is attached to batting, remove from floor and trim off excess so batting is square with backing. 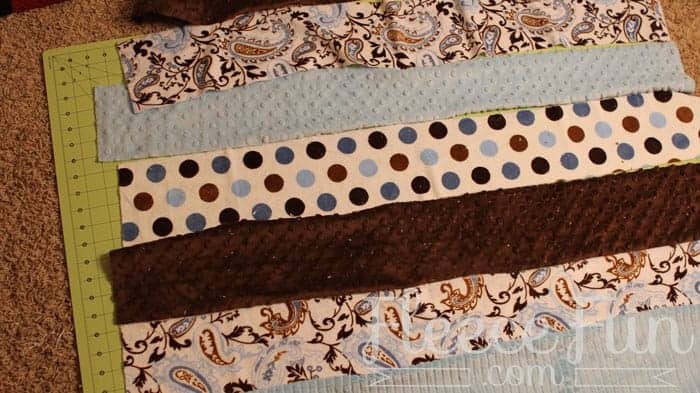 Now the quilt is ready to quilt as you go. 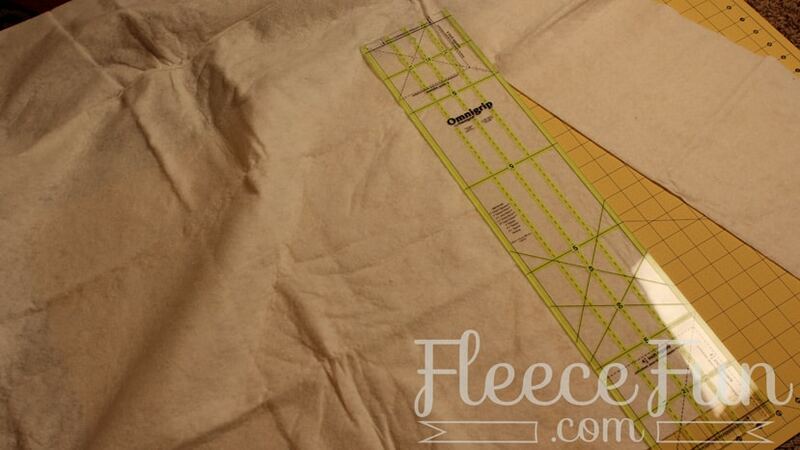 Layout strips in desired order, be sure to check the nape as you go. 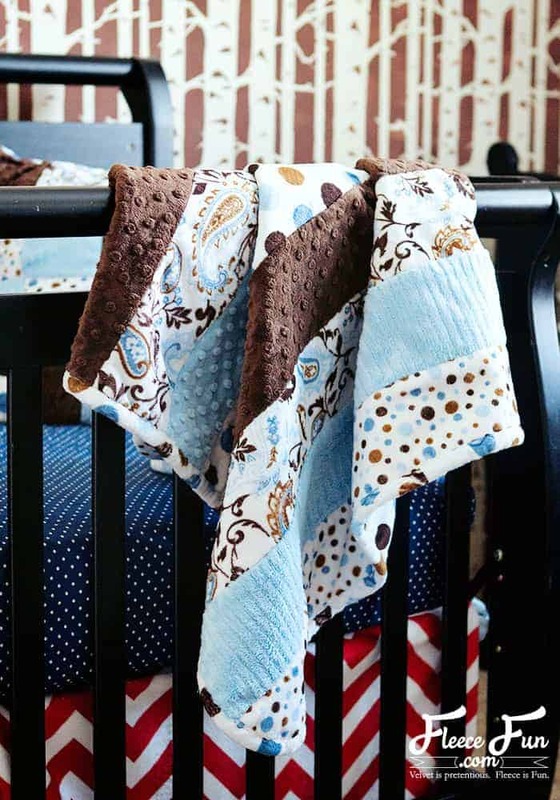 The nap ill either lay smooth or go “rough”. 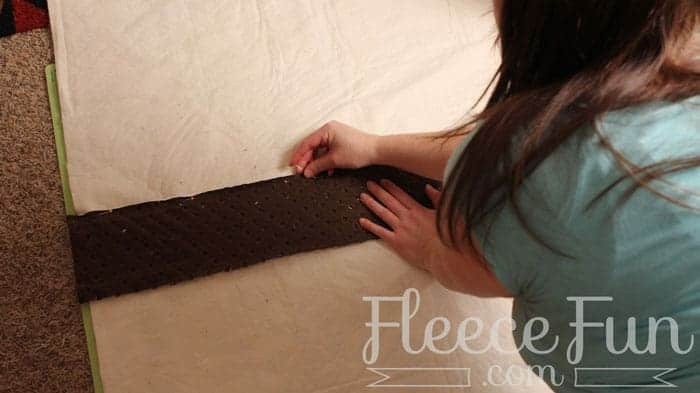 Keep petting your fabric to make sure it lays all the same direction. Once you have your pattern figures out take the center strip, and fold it in half length wise. 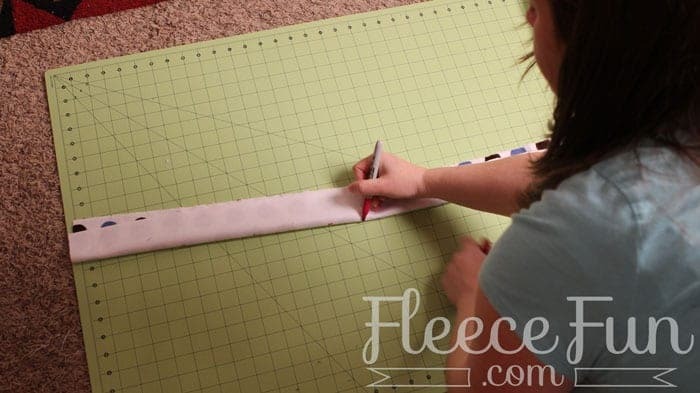 Mark fabric along the fold to establish the “center line”. 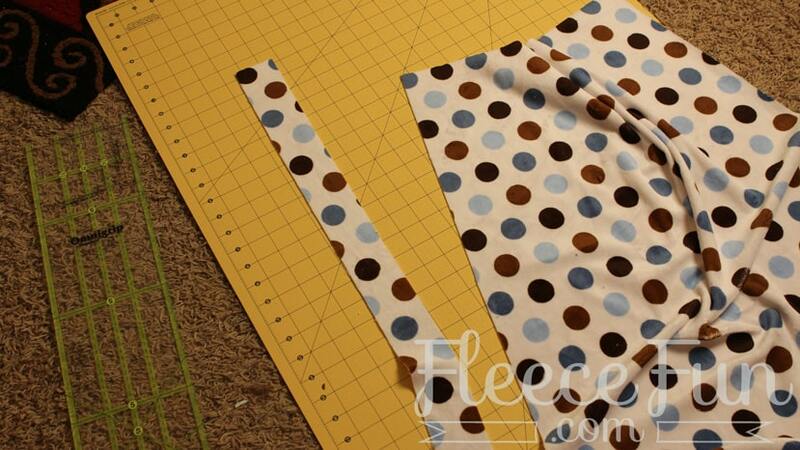 Take the backing and on the fold in half with the batting side out. Mark on the batting along the fold the establish a center line. 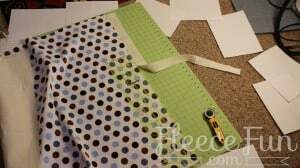 Unfold the backing and layout. With the cuddle strip still folded in half, line up the markings and using adhesive spray into place. 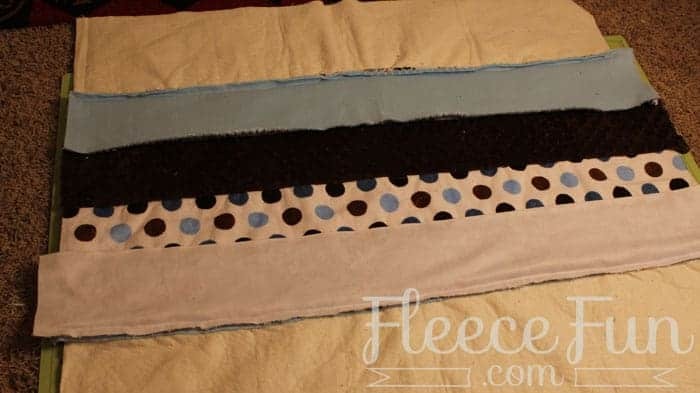 4 – Stitch n Flip! 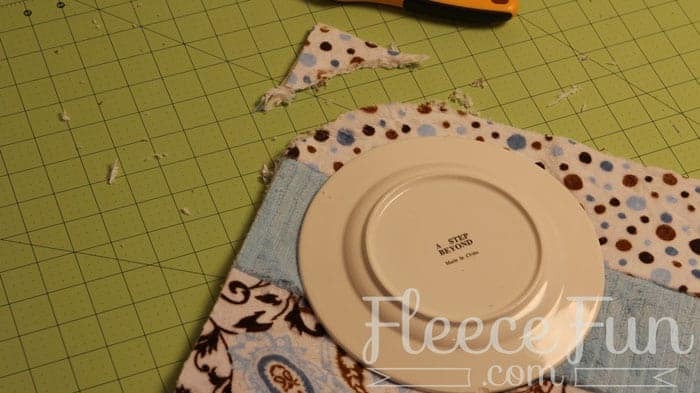 Now it’s time to stitch n flip! 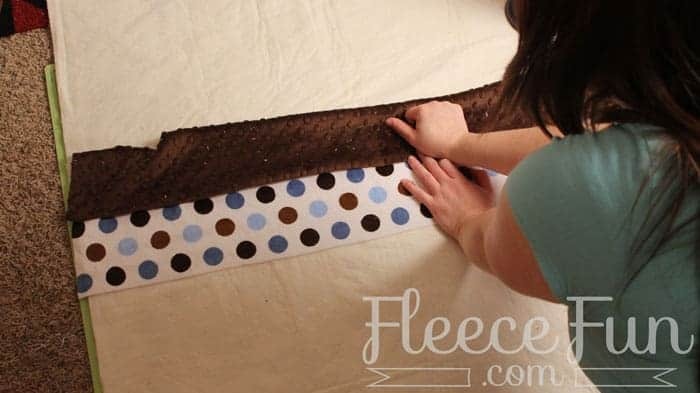 Making sure the nap is correct place the next cuddle strip down (with right sides together on the center strip. 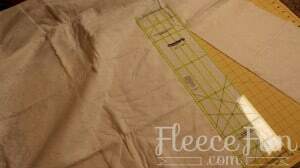 Pin into place. 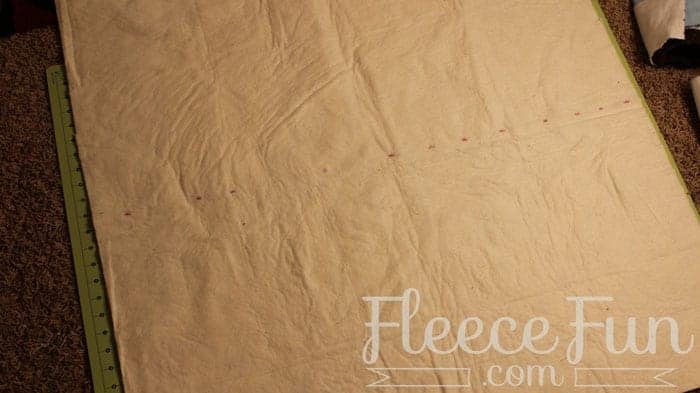 Sew through all the layers of fabric using a walking foot. Use a straight stitch with a half inch seam allowance. 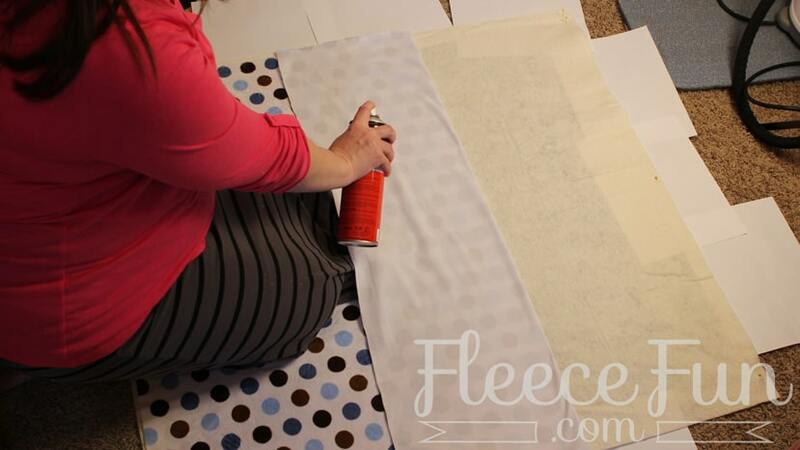 working out wrinkles as you go. 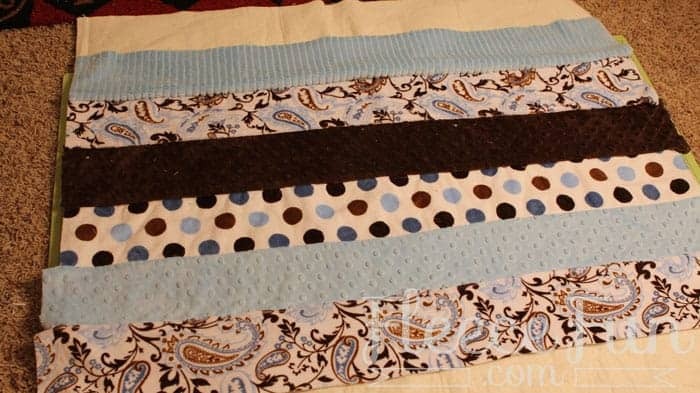 Keep alternating sides from the center strip for the quilt as you go method. 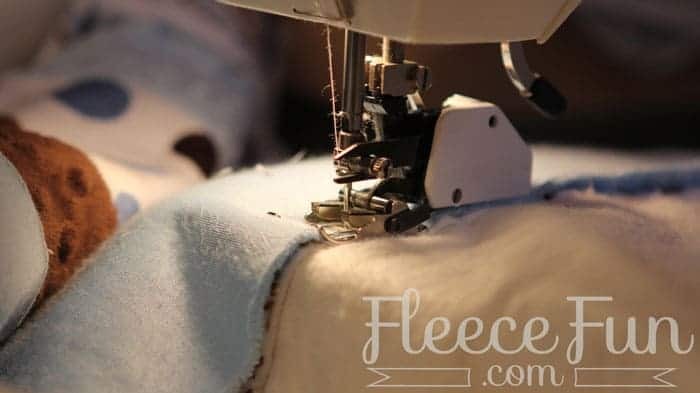 Sewing and flipping until you reach the edge. 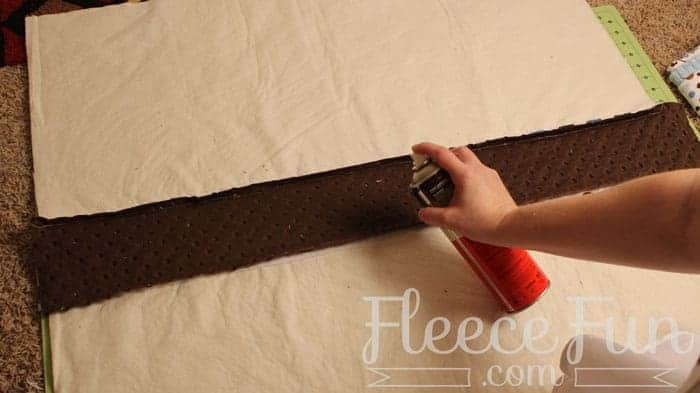 With the final outer strips be sure the spray into place. 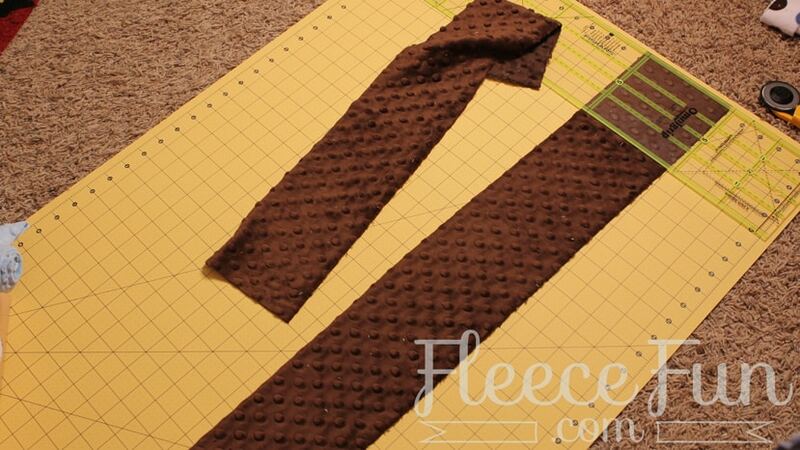 Since Cuddle has a stretch to it there will be excess on the sides. 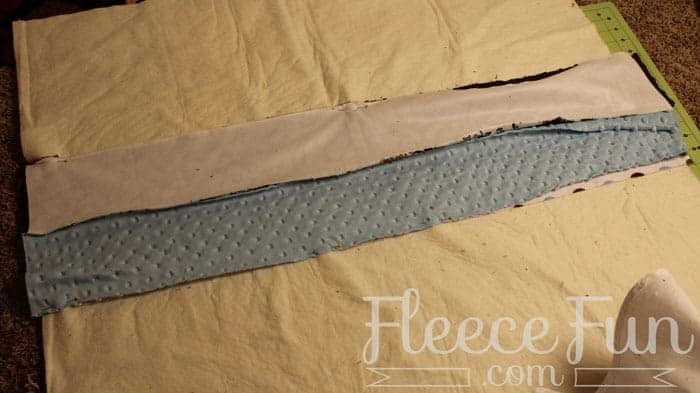 Trim down the excess so it matches the backing. 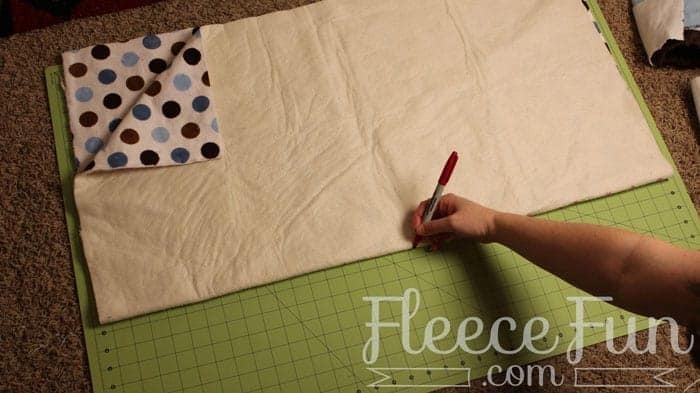 We’re going to be cutting corners on this quilt (literally) Take a plate and round off the corner of the blanket. 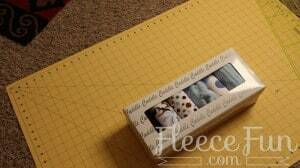 For detailed instruction on binding please see video below. Sew the two inch strips together. 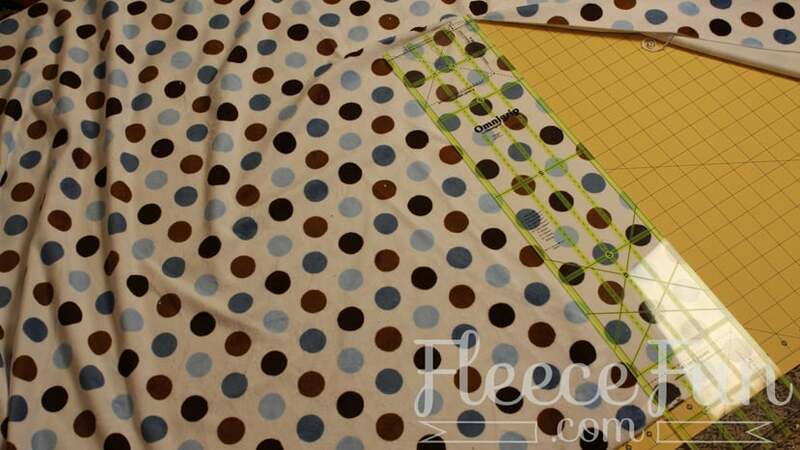 Then sew on the backing with a straight stitch and a half inch seam allowance. 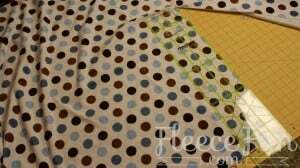 Once you make it back to where you began sew the binding all the way around so it is up against where you started. 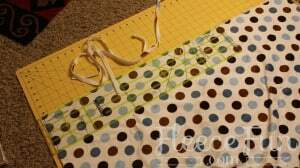 Sew across the two strips to bring them together ( see video). 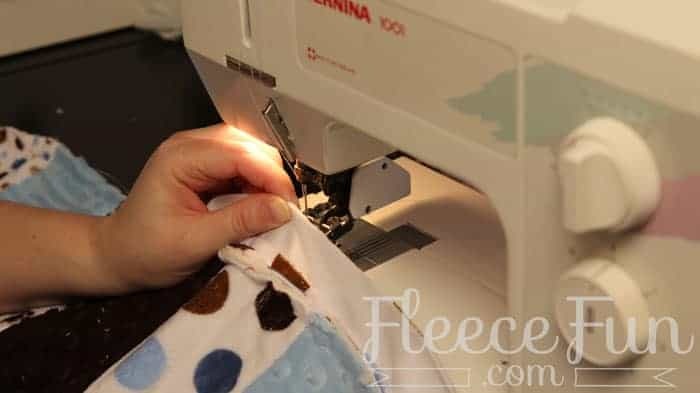 and sew down to the front using a serpentine stitch. 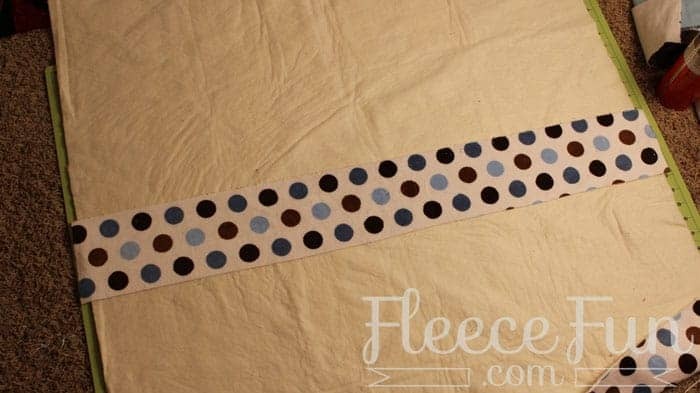 You’re finished with the Quilt As You Go Stitch n Flip Strip Quilt Tutorial! 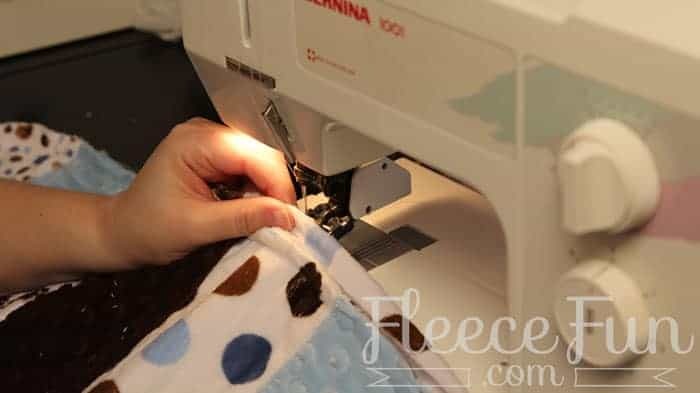 You might also like this patchwork doll quilt tutorial courtesy of Polka Dot Chair.